Arla UK farmer members engaged in its Sustainable Dairy Farming Growing Together programme will be able to register all their development activity through the Dairy Pro scheme. Arla’s sustainable dairy farming programme involves a series of on-farm practical workshops which explore key issues affecting dairy farming, including feeding, breeding and managing the future health of the herd. 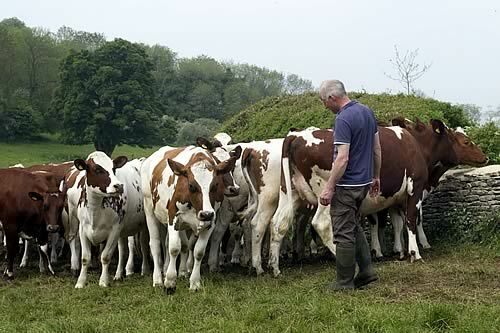 Each workshop is independently assessed and Dairy Pro points will be awarded to farmers attending the workshops, providing them with the opportunity to build an official training record. Vicky Porteus, Arla’s senior manager for quality assurance and sustainability, says: “Partnering with Dairy Pro is a logical progression to give formal recognition to the training and development delivered, and convey the professional standards of our members to customers and consumers. Helen Brookes from Dairy Pro says: “We are very pleased to have Arla farmers as our first corporate members. It shows recognition for the advantages of the scheme, adds critical mass that will benefit all members, and gives a clear signal of support to all those already involved in the Dairy Pro initiative. John Allen from Kite Consulting, which is working with Arla to deliver the programme , says: “The workshops will be looking at sustainably increasing milk solids production, improving feed efficiency, gaining from genetics, and reducing antibiotic use.